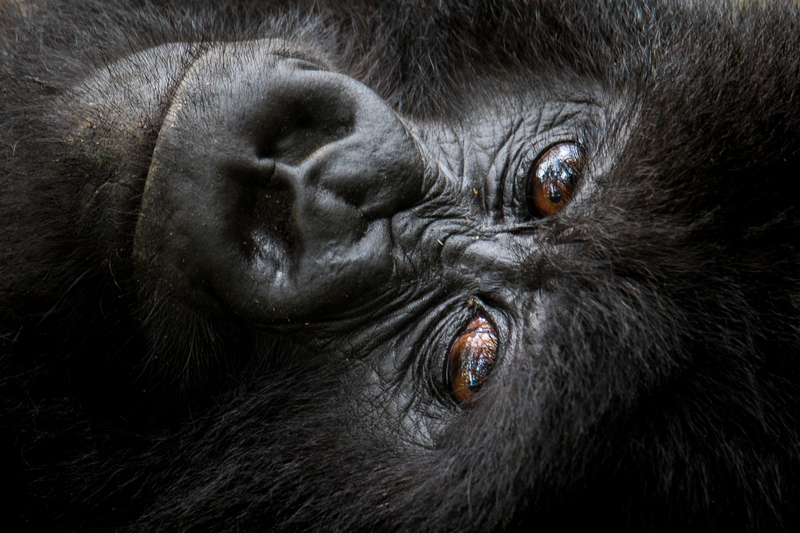 The emotional intelligence of gorillas expressed through quiet content with their surroundings creates a special and peaceful ambience which is a unique thing to experience. This image is of a mother gorilla with a 1 week old baby attached to her chest. At no point did she seem disturbed by my presence and her open care and protection of her baby was a special thing to see. She lay back among the thick jungle vegetation and cast her eyes towards me making a connection in a moment I will not soon forget.